All kittens purchased from us will have 2 Vet Checks one at 8 weeks and at 12 weeks of age the 2 Vaccinations making them fully covered for 12 months. Our kittens are also micro chipped / desexed plus we supply Full Gen Pedigree with your choice name for your kitten. We can advise on Diet plus Best litter to use etc, see our information sheet here. Our kittens are raised indoors used to household noises, and are well socialised. The kittens are also trained at an early age to use the litter tray. We offer follow up with any advice required from Kitten into Adult, and all money received from kitten purchases goes straight back towards upkeep of our cats. Please contact us here for pricing, availability and for enquiries. To download a copy of our diet chart recommendations, click here. 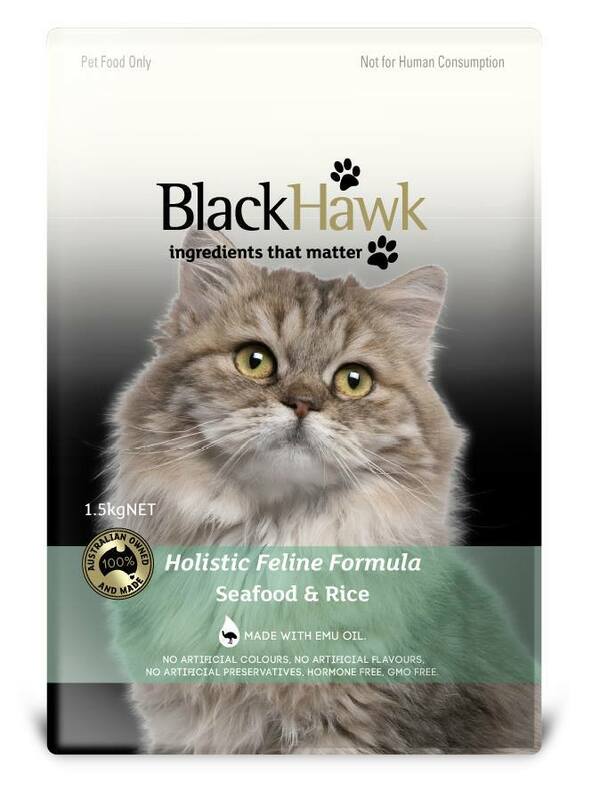 For optimum health we recommend Black Hawk dry pet food. It is an Australian made product which includes emu oil as an essential ingredient for healthy, happy pets. For more information & stockists visit the Black Hawk website here. We recommend Oz-Pet litter and cat trays as a clean, odour-free option which we use at our cattery. For more information and stockists visit the Oz-Pet website here.